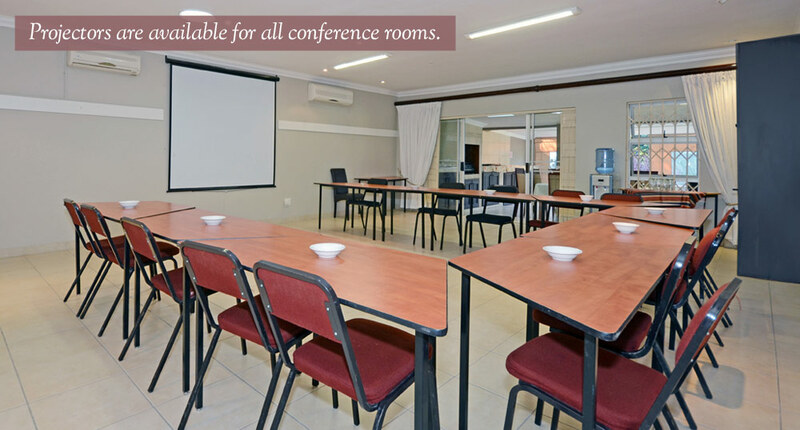 Oaklands Conference Centre has 4 conference rooms with the biggest capable of seating up to 80 delegates cinema style without desks and 35 delegates with desks. White board with markers and erasor. 1 bottle of still water per day. External sound equipment must be arranged by conference organisers if required. 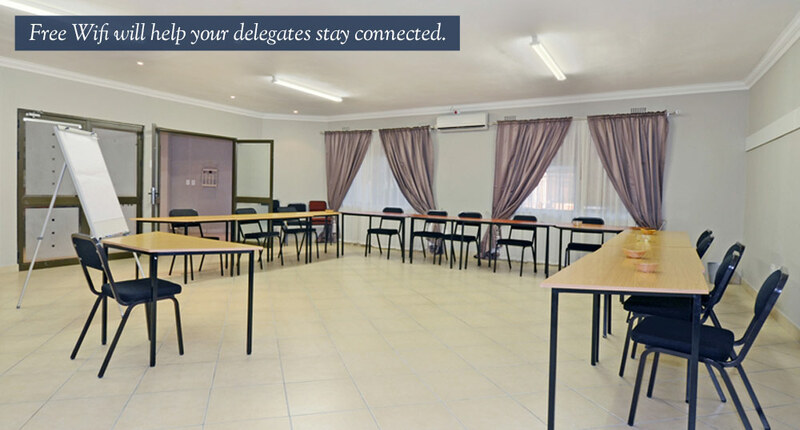 Max capacity with desk seating 35 delegates. Maximum capacity with ‘cinema style’ seating without desks - 80 delegates. On arrival: Tea, coffee with rusks. 10am: Break for tea, coffee and choice of home made muffins, croissants, scones, cakes, etc. On arrival: Tea, coffee, rusks. Lunch with a glass of fruit juice. Afternoon: tea, coffee with biscuits. 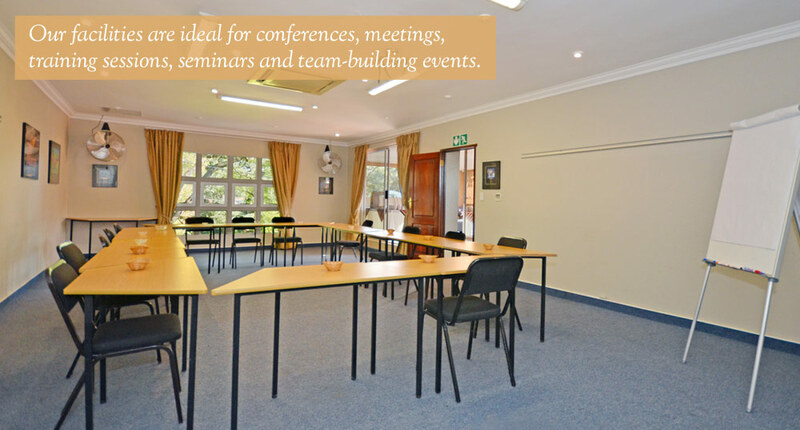 Discount rates may be available for conference bookings if conference delegates plan to stay at Oaklands Inn. Contact us for more information. 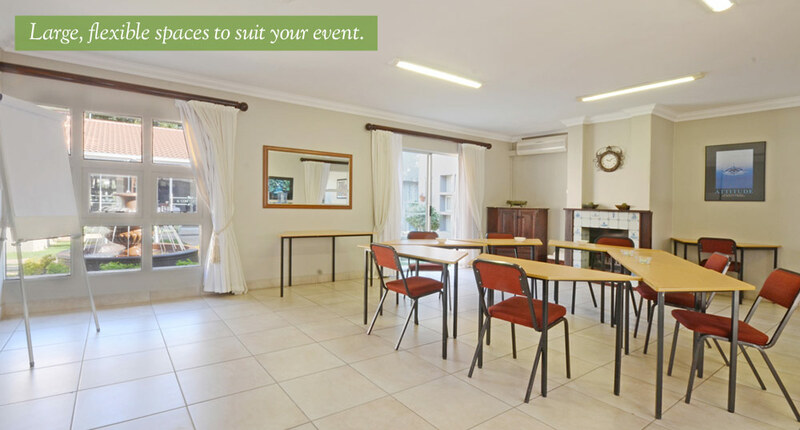 Please contact us to book a conference.